Stanley Fish says, "Some appreciate fine art; others appreciate fine wines. I appreciate fine sentences." I love the sound of that. And chances are if you love language you'll find something interesting, if not fascinating, in this slender guide. The second chapter in particular jumped out at me: "Why You Won't Find the Answer in Strunk and White." Hope you enjoy the interview - and the book. 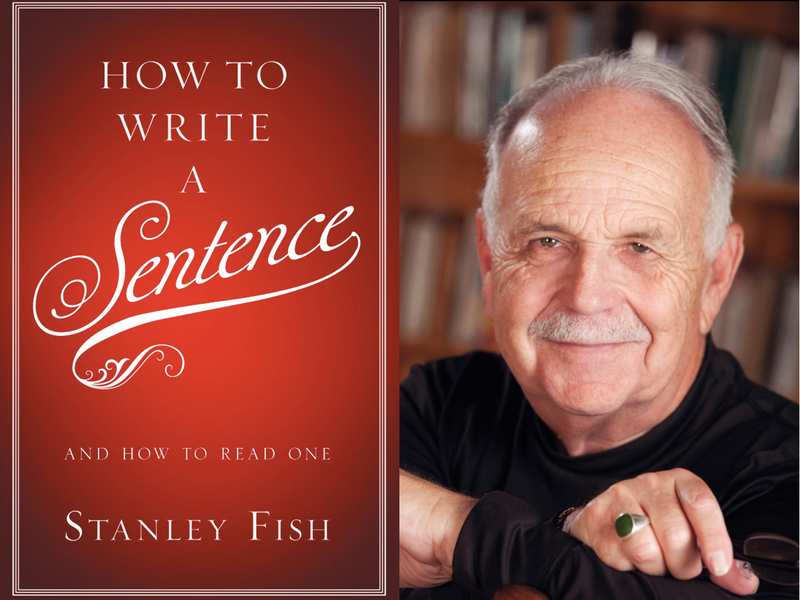 Stanley Fish: I was inspired to write the book by the poor performance of my graduate students in a literature course. Even more distressing was the fact that these same poor sentence writers were supposedly teaching freshmen to write sentences. I investigated and found that out of 104 sections of freshman composition only four were focused on craft and writing skills. The rest "taught" writing by having students read interesting essays. Of course the more interesting an essay, the less attention will be paid to the nuts and bolts of sentence construction. This led me to one of my first axioms: "Content is the enemy of learning how to write; no ideas should be allowed in a composition course, especially an idea the instructor is interested in." SF: The happy surprise that awaited me in the writing of the book was the rediscovery of the power of literature. It's been almost ten years since I taught in an English department and I had lost touch with what once was my subject. But while reading and re-reading the books from which I quarried sentences, I felt it all come back. SF: If I weren't a writer, I'd sell real-estate. Every Sunday when I'm in New York I look at apartments just for the fun of it. SF: Right now I'm reading All Things Shining: Reading the Western Classics to Find Meaning in a Secular World by Hubert Dreyfus and Sean Dorrance Kelly. In the 70's Dreyfus wrote a book called What Computers Can't Do and his argument holds true to today even in the face of the over-hyped celebration of the computer named Watson. SF: My next project is a study and critique of academic freedom, an idea often invoked but rarely understood; a rhetoric that does more harm than good. For more on "How to Write a Sentence," visit the HarperCollins website.